Last week sure got away from me…the days go by too fast to spend time sitting at the computer writing blog posts! 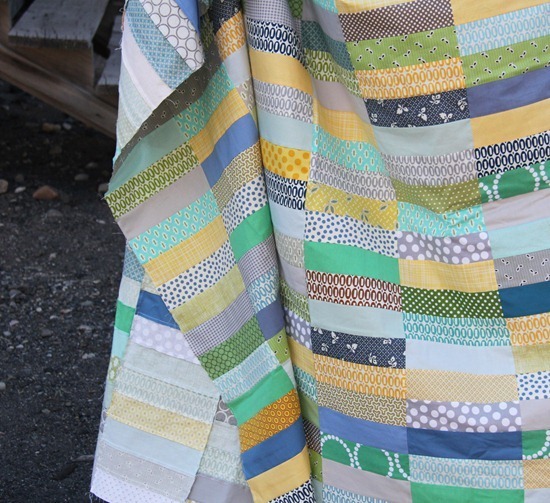 This was such a fun quilt to make…simple quilts like this never disappoint. I cut 84 – 2 1/2″ strips from my stash, then sewed them into pairs and cut them into 8″ strips without pressing first. Then I sewed the strip sets together until they were in rows of 34 – 2 1/2″ strips each. After all 12 of my rows were done I pressed the seams of each row in alternating directions to create locking seams…so all those seams fit together like butter…or margarine…there were a few that didn’t cooperate. The size is 68″ x 90″, twin size. Speaking of Boy 2 he got a haircut (this is pre-haircut…luckily). I put it off because I hate cutting his hair…it’s Mom torture. I’d rather scrub out my oven and your oven than give him a haircut. Today I am scrubbing out my oven…and the entire house in preparation to move on Friday. I can think of 100000 things I’d rather do…except give haircuts to squirmy 2 year olds. We are moving back to Seattle…where hopefully we’ll stay for a looooooooooooooooong time!!! Look at those gorgeous curls!! I had hoped to pass mine on to at least one of the kids, but it seems not to have meant to be. My son got my thick hair still, so it just ends up looking unruly and bed-head-like when longer. Sigh. So sad you are moving. I just realized your currently in eastern Idaho (I am too) & was hoping to convince you to do a quilt together or something similar with some of your readers. Oh well. Good luck on the move & love the quilt. Very cute. I just love simple quilts as well! I just love his curly hair. I have curly hair and have always wanted a curly haired child, but it didn't happen. Both of my girls have straight hair! Good luck with the move! Another fabulous quilt! Your kids are adorable! Just love it! But love the kids more, couldn't be cuter! I raised 3 boys, finally have a girl w/first granddaughter! Good luck with your move! I'm sure you are going to miss Idaho! I love this quilt. I will have to try this next. Looks like fun, and a twin size would be a new challenge for me, having only done smaller throw sizes so far. Good luck with your move. It's always challenging, especially with little ones in tow. What a neat place to live, Seattle. We are in Texas, but went to Seattle once on our way to an Alaskan cruise ship. Just loved it! So beautiful up there in that part of the country. Oh my!!! What a gorgeous quilt! It's so very stunning, I love all the colors you used. Good luck with moving! Beautiful quilt too, gorgeous boy! Good luck with the move. Is Seattle home? I love your little guys hair. It reminds me of my youngest when he was little. So many beautiful curls :-) I posted a picture on my blog today of a quilt I made from your Classic Pink pattern. This is the second time I've used your tute and it's a classic for sure. Your little boy is adorable!!! I don't care where you move to as long as you don't ever quit blogging. I love your blog! thanks for sharing and have a great day. Your quilt is so beautiful ! Have a safe move. We lived in Seattle for 81/2 years and loved every moment. Look forward to read about your adventure. Wonderful quilt – thanks for sharing. Best wishes on your move! Good luck with the move! I love how this quilt turned out! Very simple and fun! Love the quilt and your little guy is adorable- he looks like his daddy! Yes, just as long as you continue to blog- it's fine wherever you live. :) I know you lived in Ohio (where I'm from) at one time because I remember your posts about buying your fabric in southern Ohio. Berlin and Charm are just few great places to shop and I love their quilt shops. Good luck on your move!! Your little fellow is so cute! Reminds me of my boys when they were 2. They are men now. LOVE THE QUILT! I love simple quilts. They always please. That baby is just gorgeous! He has a face that just stops you in your tracks! He will be a heartbreaker someday. You should enter him in the Gap Baby competition! Cute quilt! Thanks for sharing! Good for you for leaving the most importing things to pack last – your sewing machine and fabric stash! Super cute pic of boy #2 too!!! What a handsome grin! Jenn Best of luck on the move! WOW! What a stunning quilt. I absolutely love it and will keep this in mind for a new project. oh….a move! So sorry that you have to endure that!! I hope it goes well and that you settle into Seattle quickly!! I am just a few hours down Interstate 5….south of Salem, Oregon. :) Surely you will enjoy Seattle–lots of inside/quilting time to be had due to rain. :) It's not all bad!! Need a baby sitter? Ha ha I don't know if I could handle the boys. Sophie, yes. The quilt top is gorgeous! Good luck with the move! Love the quilt. It's very colorful and soothing at the same time. Can't believe how much you get done and you're preparing to move! You're an inspiration! Awesome quilt!!! Happy moving!!! We are from the Seattle area and love it there:) good luck! My husband just got a job in Edmonds, so we are moving to the area in the next month. I would love any tips you might have on good areas to live. We are an Lds family with 4 kids…If you are too busy I totally understand, but I am super nervous about the transition, and quite honestly I'm worried about all the rain! 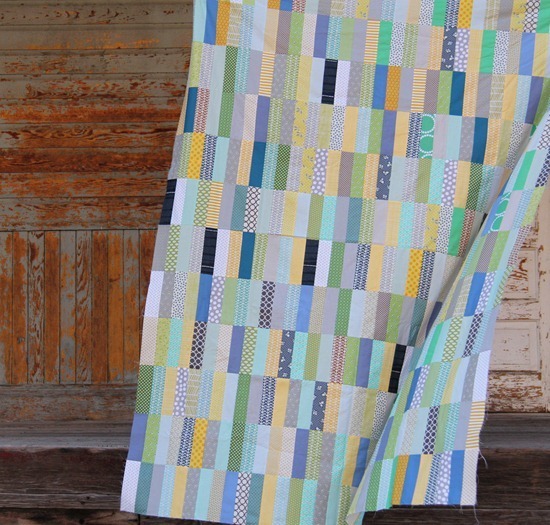 Darling quilt – darling little boy #2, and darling little Sophie toes! Good luck…tell your daddy-o, "hello". Awww, no more Eastern Idaho!?! Moving is so hard. We did it 2 months ago and I'm finally recovering. Your quilt is amazing. I love it and if you don't mind I'd like to make one in my stash colors. And your son, no cutting, that hair is so adorable. I hope the move goes well. May God Bless your move. 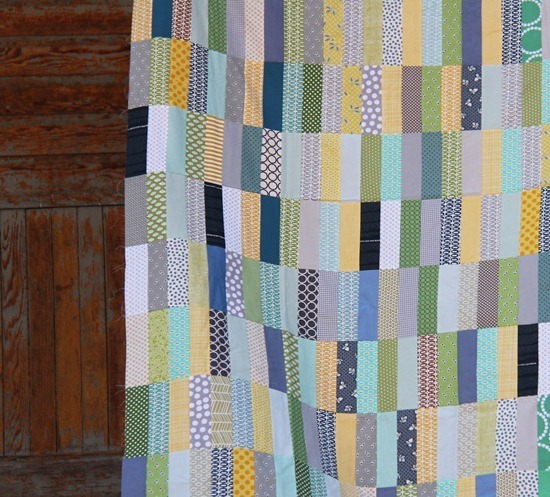 I just love the quilt and Boy 2 is so adorable!!! Praying for saftey on your move. Your little boy has the most gorgeous hair. My son had the same hair, same color at that age. For his first birtday, my husband made me go get his hair cut. LOL Looking back Im glad he did. Beautiful little boy! Couldn't he keep the curls a little longer? I'm in the seattle-ish area (more towards tacoma)! Aside from the rain and the cool summer, it's not so bad! What part of Seattle? I hear you on the haircut, great quilt! With those curls, I'd hate cutting his hair too! 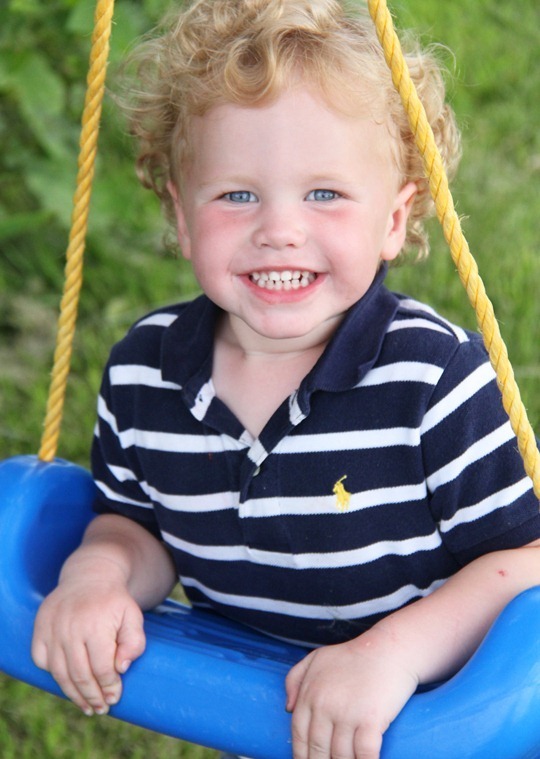 My youngest son, who is almost three, has curls like that and I absolutely refuse to cut them. So the other boys have buzz cuts and he has silky curls. Here's hoping my baby girl gets the curls so I can cut his! Lucky you, moving back to Seattle. I was just there for a quick trip and I miss almost everything about it. Just not the traffic and crazy drivers! Good luck! my daughter had curly hair like that: and I'm so glad that she WAS a girl, so her hair didn't get cut till she was in Kindergarten!! He is a doll!! And GOOD LUCK with the move. I don't envy you! Hope all goes well! big hugs to you, mama, who will be working so hard!!! I' d rather be cutting any toddler's hair! Wow…another move. This time with three kiddos. Bet your mom is happy you'll be closer to her. Good luck with the move. This little guy couldn't be cuter! Missing you in Ohio!